Who says there aren't any characters in politics these days? The movers and shakers in Brussels could be in for a shock next year after loudmouth poker pro Antanas Guoga, aka Tony G, announced plans to stand in the 2014 European Parliamentary elections in Lithuania. Tony will be on the ballot for the Liberal Party in next May's vote and is well placed after finishing second on his party's candidate list. Lithuania's Liberal Party currently has one MEP in Brussels and has high hopes of gaining a second in next May's poll. 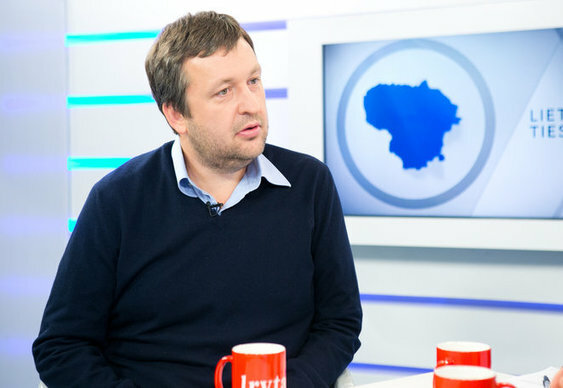 Guoga took to Facebook to announce his candidacy and outline what he has to offer to voters in the small Baltic state. The Lithuanian Liberal Party is a member of the European Parliament's Alliance of Liberals and Democrats for Europe which is the third largest transnational grouping in the European Parliament. It is a largely centrist organisation which supports greater European integration and the single market. We do wonder whether the bureacrats of Brussels have encountered anyone quite like Tony G before. Are Europe's politicians qualified? Image courtesy of T.Bauro @ Lrytas.lt.